Home background design guest post itservice video web Why Background Videos Are Crucial For Web Designing? Why Background Videos Are Crucial For Web Designing? Background videos are quickly growing popularity. As the technology is advancing with new opportunities also, due to the introduction of HTML, background videos are currently trending. But, just because they are in trend, one should refrain from using background videos if there’s no need for them. Background videos are a powerful medium for getting your message heard. They contribute to your overall message and is a reliable and useful communication channel for engaging with users. Since, there’s so much to learn and implement in web development services, it’s quite difficult to pay attention to each and every tactics also, some tactics become obsolete with time, and hence, keeping your fingers on the pulse of technology is imperative to implement the latest technology. When implemented correctly, background videos add an artistic and enhance the visual appearance of the site. Content clubbed with images is a great tool to capture user attention but, even better when background videos come in the picture. Do things that would enhance the functionality of your site and what’s good for the user experience. You don’t have to overuse them just to making your site look “modern”. If it’s required, then definitely include them, else ignore. You can have a look at some of the notable websites to learn a few tricks of using background videos effectively. After all, Images paint a thousand words as they enhance the overall performance of the site and videos impart additional and informative knowledge that is in line with the site’s message. Background videos are an important tool in creating a good brand presence and leaving a positive impression on visitor minds. If you want to enjoy a better online presence, then background videos are a must. If you want your objectives to be found throughout the site, then as well. If you want to make your business feel more personal, then yes. If you want to take the user engagement to a whole new level, then as well. All these reasons assert why they should be used. · Launching a site with background videos enable you to tell your brand and product story in a much better way. You can use videos to set a specific mood while highlighting products and services in new and compelling ways without any obstruction in the user experience. The businesses are able to condense core themes and values into a short-form video. There are so many tools available online like CSS3 Animation and take advantage of this latest trend. · If you want to leave an instant impression on user minds, then it is equally suitable to use Background Images as they get your message instantly across the audience. 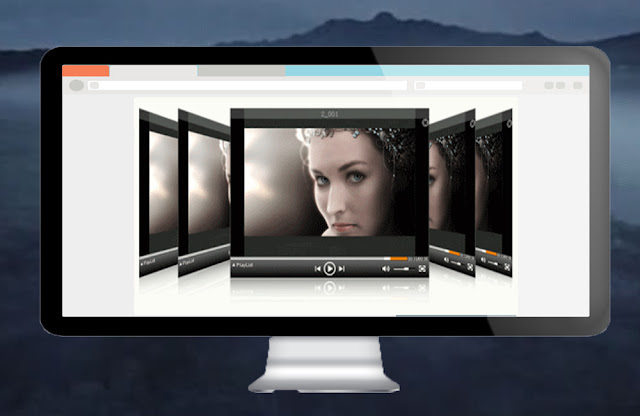 · Background Videos increase user engagement which is beneficial from SEO perspective. Though, Google weighs importance to the responsive of the site, therefore, videos are not that crucial as long as your site’s loading time but the more user engage with your site the more benefit it would to your site’s organic ranking. You can attach subtitled text to background videos. · You don’t have to use full-screen videos. You can limit the background section to a smaller height, thus, can use the space left to further areas on the page. Moreover, you don’t have to worry about the layout of the site and the design flows with fewer efforts. Use videos that fit nicely into the layout. Check which dimensions work best for your screen. · The key goal of your site is to present yourself in a much better way so that users can easily understand your company and products and so that you can engage as efficiently as possible. A traditional visual hierarchy that leads to a predictable eye path through your website can be disrupted by background video that competes with important elements on your page. · Background Videos are capable of addressing the message depicted in the site and the video available supports the other contents and purpose of your site. It's also impossible for search crawlers to watch a video and record the contents, so restating the important aspects and principles are good for SEO as well. · How it does so is dependent on the video and the purposes. The best way is to have an interesting video is to have a subject to shoot and to shoot it well. Videos enhance the performance and visual appealing of the site and they are a good option as long as they don’t hinder the functionality of the site. However, it’s a difficult task to include and sometimes, you might have to seek a professional assistance and to see which is likely the best method. With that being said, Background Videos are a great tool for pushing up your online presence. Author Bio: - Jessica Alba is an ed-tech enthusiast and has been associated with CWS Technology as a writer for more than 5 Years. CWS is the leading Web development company that also provides WordPress Development service, Mobile App development and other IT solutions. Jessica has a passion for writing on emerging technologies like application management outsourcing, consulting, system integration etc.